There have been moments during the last week or so when I had grave doubts as to whether I should see tomorrow'. Compiled from the almost daily letters home and a diary written in the immediate aftermath of the First World War, We are all Flourishing is a remarkable firsthand account of one man’s service during 1914-19. Walter Coats was an officer with the 9th Highland Light Infantry (Glasgow Highlanders) - one of the first territorial battalions dispatched to the Western Front. Anticipation builds from mobilization in August 1914, through intensive training in and around Dunfermline, up to eventual embarkation for France the following November. Sent into action, Walter describes winter days and nights in open trenches equipped with kilts and ordinary-issue footwear. As battalion machine gun officer, he participated in the Battles of Neuve-Chapelle, Loos and Arras; the Third Battle of Ypres and the Somme - notably at High Wood in July 1916, where the Highlanders were almost wiped out, losing over 800 men killed, wounded and missing. In between the big battles and line-holding in less active sectors, we hear tales of ordinary trench routine, training, sudden movements, billeting expeditions, billets and interactions with the local populace. Walter’s story is also one of amusing anecdotes, descriptions of wartime entertainment and humorous verse that reflects how morale was maintained in times of unrelenting terror and occasional boredom. In 1917, torn between battalion loyalty and a promise to his family to take on 'safer' employment, Walter is transferred to 100th Infantry Brigade Staff - his subsequent experience providing rare insights into a staff captain’s life and responsibilities. This part of his account also sheds new light on the midlevel command administration of the British Expeditionary Force and the consequent daily challenges that, more often than not, affected the life-or-death situations encountered on the battlefield. While Walter’s life was still fraught with personal danger and narrow escapes, his kindness and consideration to officers and men, love of family and dry sense of humor continue to shine through. Walter’s story is illustrated with an impressive array of images and maps. Compiled and edited by his great-nephew, Jan Chojecki - and co-edited by military historian Michael LoCicero - We are all Flourishing is a comprehensive and moving work offering new and unique insights into life at the sharp end of conflict and on the Home front. 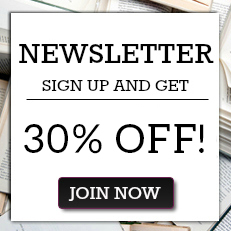 Dr Michael LoCicero is an independent scholar and Helion & Company commissioning editor. Having earned a PhD from the University of Birmingham in 2011, he was previously employed as a contracted researcher at the National Archives, Kew and the Soldiers of Oxfordshire Trust. His publications include a contributory chapter on Brigadier-General Edward Bulfin in the highly regarded Spencer Jones (ed.) Stemming the Tide: Officers and Leadership of the British Expeditionary Force 1914 (2013), A Moonlight Massacre: The Night Operation on the Passchendaele Ridge, 2 December 1917 (2014), a contributory chapter chronicling the forgotten battle of International Trench in Spencer Jones (ed. ), Courage Without Glory: The British Army on the Western Front 1915 (2015) and a contributory chapter analysis of a large-scale German trench raid at La Boisselle in Spencer Jones (ed. ), At All Costs: The British Army on the Western Front 1916 (2018). Jan Chojecki is the great-nephew of Walter Coats - his maternal grandmother being Walter’s sister, Helen 'Ellie' Rowett. 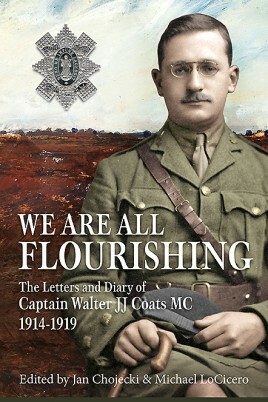 He transcribed the collection of letters posted home from the Western Front by Walter, collated these with the diary account written in 1919 and has researched much of the related information on people and events described in We are all Flourishing. Jan has a Degree in Natural Sciences and a PhD in Genetics - both from the University of Cambridge (Christ’s College). "Walter Coats emerges from this narrative as one of the key chroniclers of the First World War: his letters home read as freshly as they would have done when his family received them all those years ago. Shorn of hysterics or heroics Coats simply recorded what his battalion was experiencing and in so doing he reveals how he and his fellow Glasgow Highlanders responded to the peculiar miseries and excitements of life on the Western Front. A more genuine and even-handed account would be difficult to find."